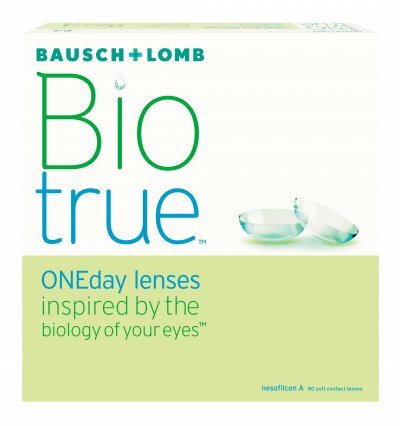 Biotrue one day contact lenses provide high definition optics all day so you wont get blurry eyes later in the day. The lenses are made with a material based on the biology of the eye. The wetting agent in the lens leaves the eyes feeling well hydrated.